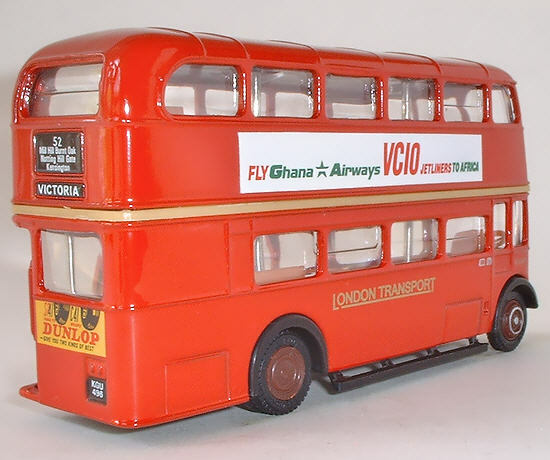 Adverts "Get Fresh with Guernsey Toms" (neearside) and "Fly Ghana Airways VCIO Jetliners to Africa" (offside) and "Dunlop" (rear). Livery Red with beige between decks band and gold fleetnames. Notes Part of London Transport Museum Set 99913 with model 20202. 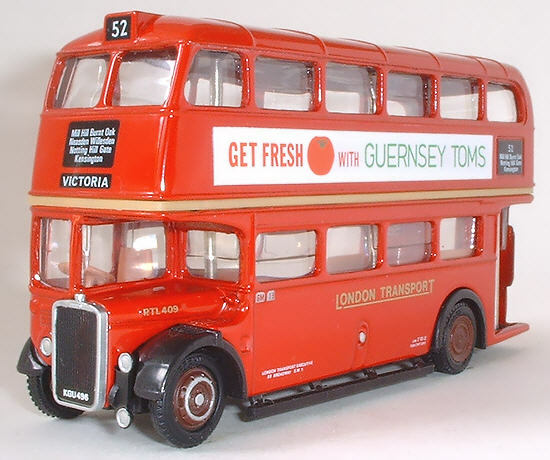 A re-worked De-luxe Series version of this model was also produced 22801DL.